Join us on Thursday, November 20, 7 PM for the FSPR Lecture: Springs of the Sky Islands. Learn about the nature of springs, their importance in our region, what threatens them, and how they can be protected in this lecture presented by Carianne Campbell, Landscape Restoraton Program Manager at Sky Islands Alliance. Springs are keystone ecosystems in the Sky Island Region, exert disproportionate influence on surrounding landscapes, and are known to be biodiversity hotspots. Hear about approaches to management of springs through adaptive planning, as well as recruiting, training and retaining volunteers involved in restoration efforts. The lecture will take place at 4070 E Avenida Saracino in Hereford (the new BLM San Pedro Project Office on Highway 92 between Ramsey and Carr Canyon Roads). The lecture is free and open to the public. 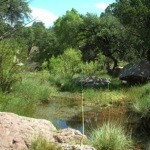 On Thursday, September 18, mine water from Cananea, MX was reported to have spilled into the San Pedro River. Although the extent of contamination is not yet known, early unofficial reports indicate that sampling is not detecting significant contamination in the river north of the border. We have received no official guidance from county, state or federal authorities with regard to potentially contaminated water. Needless to say, common sense dictates while the situation is being assessed and confirmed, it is wise to avoid contact with river water until sampling and authoritative reports indicate that the water is safe to drink and use. Join us for Fairbank Day 2014! 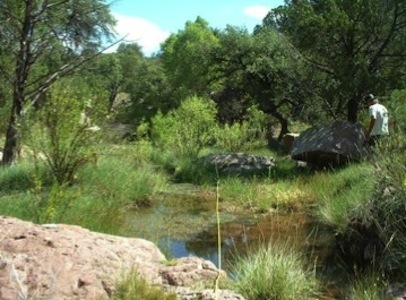 The Friends of the San Pedro River (FSPR) and Bureau of Land Management (BLM) will host our annual Fairbank Day event on Saturday Oct. 25 from 10:00 AM to 2:00 PM. 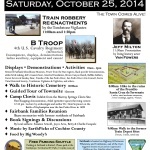 Come join us as we bring the town back to life! See the schedule of events. Sign up for Fry’s Community Rewards Program. Amazon donates when you shop via this link. Sign up for our e-Mailing List! Check out the latest edition of the River Roundup! fspr on Volunteer at Fairbank Schoolhouse! 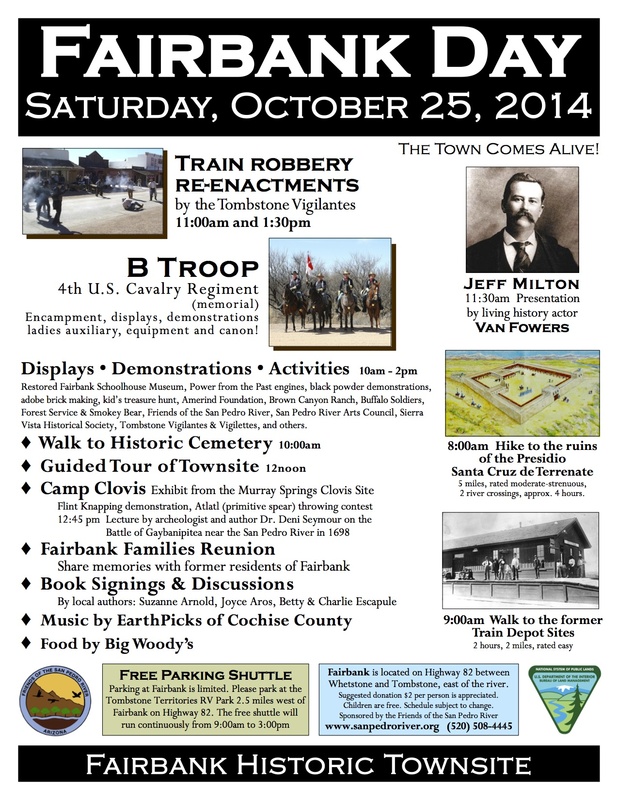 fspr on Join us for Fairbank Day 2014! Jacque Arnold on Volunteer at Fairbank Schoolhouse! Jacque Arnold on Join us for Fairbank Day 2014!